There is an age-old expression among New Yorkers that their city will really be a great place one day if someone ever finishes building it. I have heard this many times during my life as a native and lifelong resident of this remarkable place. In a significant technological achievement intended to focus and consolidate the massive quantities of location, scope and cost data about the plethora of structures sprouting up everywhere, on August 22, 2018 the New York City Buildings Department launched an interactive NYC Active Major Construction Map (“The Map”). Full coverage of its inauguration was provided in a very informative article in The New York Times entitled A Real-Time Map Tracks the Building Frenzy That’s Transforming New York, by Corey Kilgannon, on August 22, 2018. (Here, too, is the Building Department’s press release.) I highly recommend both a click-through and full read of it and further online exploration of The Map itself. I will also summarize and annotate this report, and then pose some of my own code compliant questions. As the ubiquitous pounding of steel and pouring of concrete proceeds unabated, there is truly little or no getting around it. The Map is one component of a $60 million digital initiative established in 2015 which is intended to produce an “impressive level of detail” on much of this cityscape altering activity. The recent inception of The Map provides everyone in the metro area an online platform to track some of the key details of the largest of these projects plotted across a series of key metrics. An accompanying grid of tables below it lists and ordinates the largest projects based upon these dimensions. Each project’s location represented by a blue dot that can be clicked to reveal the property’s contractor, history and any violations. Cumulative real-time totals of square footage under construction, permits and dwelling units involved. This data can be further filtered by borough. Executives, organizations and community advocates representing a diversity of interests have expressed their initial support for The Map. The NYC Building Commissioner, Rick D. Chandler, believes this new resource is a means to provide transparency to his department’s tremendous quantity of construction data. Prior to the rollout of The Map, accessing and processing this information required much greater technical and professional skills. Furthermore, the data will be put to use to “improve and streamline the department’s operations”. According to Andrew Berman, the Executive Director of the non-profit advocacy group Greenwich Village Society for Historic Preservation, he finds The Map to be both useful and “long overdue”. It is providing his group with a more convenient means to discover additional information about the proliferation of project sites in the Village. He also noted that under the previously existing municipal databases, this data was far more challenging to extract. Nonetheless, the new map remains insufficient for him and “other measures were needed” for the city government to increase oversight and enforcement of construction regulations concerning safety and the types of projects are permitted on specific properties. Local real estate industry trade groups such as the Real Estate Board of New York, are also sanguine about this form of digital innovation, particularly for it accessibility. The group’s current president, John H. Banks, finds that it is “more responsive to the needs of the private sector”, raises transparency and the public’s “awareness of economic activity, jobs and tax revenues” flowing from the city’s construction projects. Plans are in place to expand The Map based upon user feedback. As well, it will receive daily updates thus providing “a real-time advantage over analyst and industry reports”. Does a roadmap currently exist for the projected development path of The Map’s content and functionality? If so, how can all interested parties provide ongoing commentary and support for it? Are there other NYC databases and data sources that could possibly be integrated into the map? For example, tax, environmental and regulatory information might be helpful. Can other cities benefit from the design and functionality of The Map to create or upgrade their own versions of similar website initiatives? What new entrepreneurial, academic and governmental opportunities might now present themselves because of The Map? How might artificial intelligence and/or machine learning capabilities be, well, mapped into The Map’s functionalities? Are there any plans to add chatbot scripting capabilities to The Map? 2. Once I lived in a building that had been mercifully quiet for a long time until the adjacent building was purchased, gutted and totally renovated. For four months during this process, the daily noise level by comparison made a typical AC/DC concert sound like pin drop. The third of the band’s classic singles can be stretched a bit to be used as a helpful metaphor to describe an emerging form pervasive “all around”-edness, this time in a more technological context. Upon reading a fascinating recent article on TechCrunch.com entitled The Next Stop on the Road to Revolution is Ambient Intelligence, by Gary Grossman, on May 7, 2016, you will find a compelling (but not too rocking) analysis about how the rapidly expanding universe of digital intelligent systems wired into our daily routines is becoming more ubiquitous, unavoidable and ambient each day. We have followed just a sampling of developments and trends in the related technologies of artificial intelligence, machine learning, expert systems and swarm intelligence in these 15 Subway Fold posts. I believe this new article, adding “ambient intelligence” to the mix, provides a timely opportunity to bring these related domains closer together in terms of their common goals, implementations and benefits. I highly recommend reading Mr. Grossman’s piece it in its entirety. I will summarize and annotate it, add some additional context, and then pose some of my own Troggs-inspired questions. Digital this, that and everything is everywhere in today’s world. There is a surging confluence of connected personal and business devices, the Internet, and the Internet of Things (I0T) ³. Woven closely together on a global scale, we have essentially built “a digital intelligence network that transcends all that has gone before”. In some cases, this quantum of advanced technologies gains the “ability to sense, predict and respond to our needs”, and is becoming part of everyone’s “natural behaviors”. A prediction of what more fully realized ambient intelligence might look like using travel as an example appeared in an article entitled Gearing Up for Ambient Intelligence, by Lisa Morgan, on InformationWeek.com on March 14, 2016. Upon leaving his or her plane, the traveler will receive a welcoming message and a request to proceed to the curb to retrieve their luggage. Upon reaching curbside, a self-driving car6 will be waiting with information about the hotel booked for the stay. Another article about ambient intelligence entitled Towards a World of Ambient Computing, by Simon Bisson, posted on ZDNet.com on February 14, 2014, is briefly quoted for the line “We will talk, and the world will answer”, to illustrate the point that current technology will be morphing into something in the future that would be nearly unrecognizable today. Grossman’s article proceeds to survey a series of commercial technologies recently brought to market as components of a fuller ambient intelligence that will “understand what we are asking” and provide responsive information. Will it be long before we begin to see similar smart devices everywhere in homes and businesses? Kevin Kelly, the founding Executive Editor of WIRED and a renowned futurist7, believes that in the near future, digital intelligence will become available in the form of a utility8 and, as he puts it “IQ as a service”. This is already being done by Google, Amazon, IBM and Microsoft who are providing open access to sections of their AI coding.9 He believes that success for the next round of startups will go to those who enhance and transforms something already in existence with the addition of AI. The best example of this is once again self-driving cars. As well, in a chapter on Ambient Computing from a report by Deloitte UK entitled Tech Trends 2015, it was noted that some products were engineering ambient intelligence into their products as a means to remain competitive. A great deal of AI is founded upon the collection of big data from online searching, the use of apps and the IoT. This universe of information supports neural networks learn from repeated behaviors including people’s responses and interests. In turn, it provides a basis for “deep learning-derived personalized information and services” that can, in turn, derive “increasingly educated guesses with any given content”. TechCrunch’s Personalized News Bot that presents news relevant to users’ interest, driven by deep learning technology. Optimally, bots should also be able to listen and “speak” back in return much like a 2-way phone conversation. This would also add much-needed context, more natural interactions and “help to refine understanding” to these human/machine exchanges. Such conversations would “become an intelligent and ambient part” of daily life. An example of this development path is evident in Google Now. This service combines voice search with predictive analytics to present users with information prior to searching. It is an attempt to create an “omniscient assistant” that can reply to any request for information “including those you haven’t thought of yet”. The configurations and specs of AI-powered devices, be it lapel pins, some form of augmented reality10 headsets or something else altogether, supporting such pervasive and ambient intelligence are not exactly clear yet. Their development and introduction will take time but remain inevitable. Will ambient intelligence make our lives any better? It remains to be seen, but it is probably a viable means to handle some of more our ordinary daily tasks. It will likely “fade into the fabric of daily life” and be readily accessible everywhere. Quite possibly then, the world will truly become a better place to live upon the arrival of ambient intelligence-enabled ocarina solos. Does the emergence of ambient intelligence, in fact, signal the arrival of a genuine fourth industrial revolution or is this all just a semantic tool to characterize a broader spectrum of smarter technologies? How might this trend also effect non-commercial spheres such as public interest causes and political movements? As ambient intelligence insinuates itself deeper into our online worlds, will this become a principal driver of new entrepreneurial opportunities for startups? 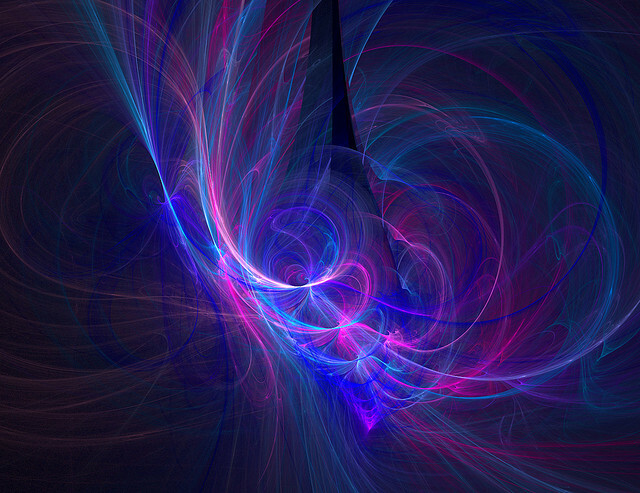 Will ambient intelligence itself provide new tools for startups to launch and thrive? 1. Thanks to Little Steven (@StevieVanZandt) for keeping the band’s music in occasional rotation on The Underground Garage (#UndergroundGarage.) Also, for an appreciation of this radio show see this August 14, 2014 Subway Fold post entitled The Spirit of Rock and Roll Lives on Little Steven’s Underground Garage. 2. For a remarkably comprehensive report on the pervasiveness of this phenomenon, see the Pew Research Center report entitled U.S. Smartphone Use in 2015, by Aaron Smith, posted on April 1, 2015. 3. These 10 Subway Fold posts touch upon the IoT. 4. 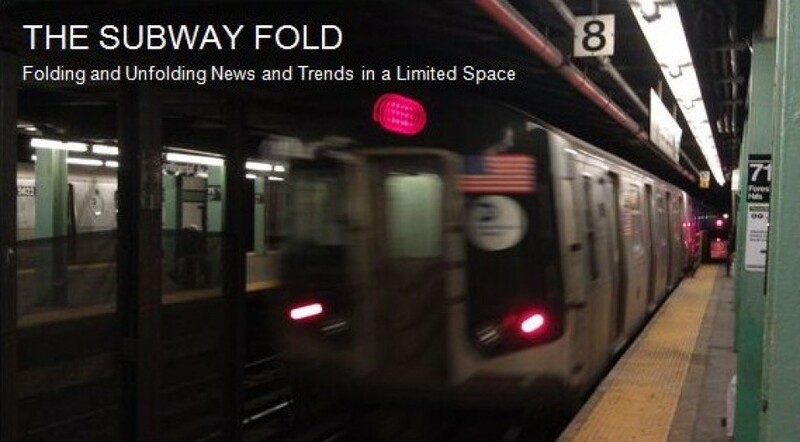 The Subway Fold category Big Data and Analytics contains 50 posts cover this topic in whole or in part. 5. The Subway Fold category Telecommunications contains 12 posts cover this topic in whole or in part. 6. These 5 Subway Fold posts contain references to self-driving cars. 7. Mr. Kelly is also the author of a forthcoming book entitled The Inevitable: Understanding the 12 Technological Forces That Will Shape Our Future, to be published on June 7, 2016 by Viking. 8. This September 1, 2014 Subway Fold post entitled Possible Futures for Artificial Intelligence in Law Practice, in part summarized an article by Steven Levy in the September 2014 issue of WIRED entitled Siri’s Inventors Are Building a Radical New AI That Does Anything You Ask. This covered a startup called Viv Labs whose objective was to transform AI into a form of utility. Fast forward to the Disrupt NY 2016 conference going on in New York last week. On May 9, 2016, the founder of Viv, Dag Kittlaus, gave his presentation about the Viv platform. This was reported in an article posted on TechCrunch.com entitled Siri-creator Shows Off First Public Demo of Viv, ‘the Intelligent Interface for Everything’, by Romain Dillet, on May 9, 2016. The video of this 28-minute presentation is embedded in this story. 9. For the full details on this story see a recent article entitled The Race Is On to Control Artificial Intelligence, and Tech’s Future by John Markoff and Steve Lohr, published in the March 25, 2016 edition of The New York Times. 10. These 10 Subway Fold posts cover some recent trends and development in augmented reality. Back in the halcyon days of yore before the advent of smartphones and WiFi, there were payphones and phone booths all over of the streets in New York. Most have disappeared, but a few scattered survivors have still managed to hang on. An article entitled And Then There Were Four: Phone Booths Saved on Upper West Side Sidewalks, by Corey Kilgannon, posted on NYTimes.com on February 10, 2016, recounts the stories of some of the last lonely public phones. Taking their place comes a highly innovative new program called LinkNYC (also @LinkNYC and #LinkNYC). This initiative has just begun to roll out across all five boroughs with a network of what will become thousands of WiFi kiosks providing free and way fast free web access and phone calling, plus a host of other online NYC support services. The kiosks occupy the same physical spaces as the previous payphones. 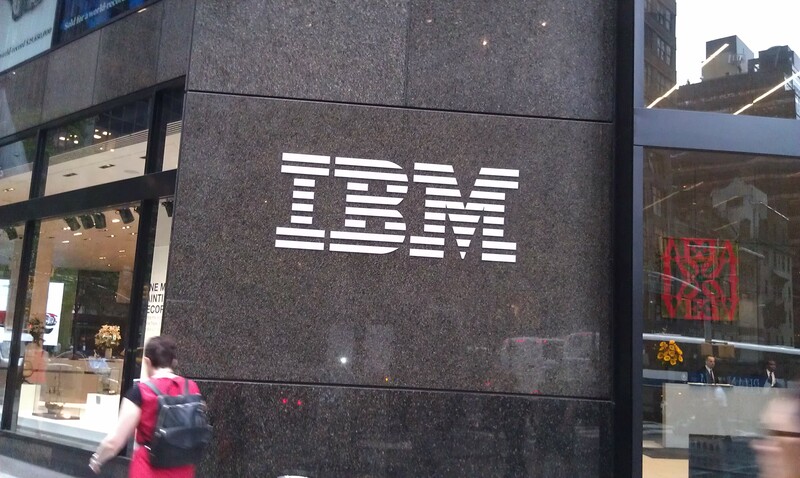 The first batch of them has started to appear along Third Avenue in Manhattan. I took the photos accompanying this post of one kiosk at the corner of 14th Street and Third Avenue. While standing there, I was able to connect to the web on my phone and try out some of the LinkNYC functions. My reaction: This is very cool beans! LinkNYC also presents some potentially great new opportunities for marketers. The launch of the program and the companies getting into it on the ground floor were covered in a terrific new article on AdWeek.com on February 15, 2015 entitled What It Means for Consumers and Brands That New York Is Becoming a ‘Smart City’, by Janet Stilson. I recommend reading it in its entirety. I will summarize and annotate it to add some additional context, and pose some of my own ad-free questions. Beyond mobile devices and advertising, smart cities can potentially facilitate many other services. The consulting firm Frost & Sullivan predicts that there will be 26 smart cities across the globe during by 2020. Currently, everyone is looking to NYC to see how the implementation of LinkNYC works out. According to Mike Gamaroff, the head of innovation in the New York office of Kinetic Active a global media and marketing firm, LinkNYC is primarily a “utility” for New Yorkers as well as “an advertising network”. Its throughput rates are at gigabit speeds thereby making it the fastest web access available when compared to large commercial ISP’s average rates of merely 20 to 30 megabits. There are a total of 16 currently operational for the initial testing. The WiFi web access is accessible with 150 feet of the kiosk and can range up to 400 feet. Perhaps those New Yorkers actually living within this range will soon no longer need their commercial ISPs. The initial advertisers appearing in rotation on the large digital screen include Poland Spring (see the photo at the right), MillerCoors, Pager and Citibank. Eventually “smaller tablet screens” will be added to enable users to make free domestic voice or video calls. As well, they will present maps, local activities and emergency information in and about NYC. Users will also be able to charge up their mobile devices. The organization managing LinkNYC, the CityBridge consortium (consisting of Qualcomm, Intersection, and Civiq Smartscapes) , is not yet indicating when the new network will progress into a more “commercial stage”. However, once the network is fully implemented with the next few years, the number of kiosks might end up being somewhere between 75,000 and 10,000. That would make it the largest such network in the world. CityBridge is also in charge of all the network’s advertising sales. These revenues will be split with the city. Under the 12-year contract now in place, this arrangement is predicted to produce $500M for NYC, with positive cash flow anticipated within 5 years. Brad Gleeson, the chief commercial officer at Civiq, said this project depends upon the degree to which LinkNYC is “embraced by Madison Avenue” and the time need for the network to reach “critical mass”. Barry Frey, the president and CEO of the Digital Place-based Advertising Association, was also along for the tour of the new kiosks on Third Avenue. He was “impressed” by the capability it will offer advertisers to “co-locate their signs and fund services to the public” for such services as free WiFi and long-distance calling. Poland Spring is now running a 5-week campaign featuring a digital ad (as seen in the third photo above). It relies upon “the brand’s popularity in New York”. Helma Larkin, the CEO of Posterscope, a New York based firm specializing in “out-of- home communications (OOH)“, believes that LinkNYC is an entirely “new out-of-home medium”. This is because the data it will generate “will enhance the media itself”. The LinkNYC initiative presents an opportunity to build this network “from the ground up”. It will also create an opportunity to develop data about its own audience. David Krupp of Kinetic thinks that data that will be generated will be quite meaningful insofar as producing a “more hypertargeted connection to consumers”. Currently in the US, there is nothing else yet approaching the scale of LinkNYC. Nonetheless, Kansas City is now developing a “smaller advertiser-supported network of kiosks” with wireless support from Sprint. Other cities are also working on smart city projects. Civiq is now in discussions with about 20 of them. A key challenge facing all smart city projects is finding officials in local governments who likewise have the enthusiasm for efforts like LinkNYC. Michael Lake, the CEO of Leading Cities, a firm that help cities with smart city projects, believes that programs such as LinkNYC will “continue to catch on” because of the additional security benefits they provide and the revenues they can generate. Should domestic and international smart cities to cooperate to share their resources, know-how and experience for each other’s mutual benefit? Might this in some small way help to promote urban growth and development on a more cooperative global scale? Should LinkNYC also consider offering civic support services such as voter registration or transportation scheduling apps as well as charitable functions where pedestrians can donate to local causes? February 19, 2017 Update: For the latest status report on LinkNYC nearly a year after this post was first uploaded, please see After Controversy, LinkNYC Finds Its Niche, by Gerald Schifman, on CrainsNewYork.com, dated February 15, 2017. 1. While Googling “smart cities” might nearly cause the Earth to shift off its axis with its resulting 70 million hits, I suggest reading a very informative and timely feature from the December 11, 2015 edition of The Wall Street Journal entitled As World Crowds In, Cities Become Digital Laboratories, by Robert Lee Hotz. 2. Smart Cities: Big Data, Civic Hackers, and the Quest for a New Utopia (W. W. Norton & Company, 2013), by Anthony M. Townsend, is a deep and wide book-length exploration of how big data and analytics are being deployed in large urban areas by local governments and independent citizens. I very highly recommend reading this fascinating exploration of the nearly limitless possibilities for smart cities. These items just in from the Pop Culture Department: It would seem nearly impossible to film an entire movie thriller about a series of events centered around a public phone, but a movie called – – not so surprisingly – – Phone Booth managed to do this quite effectively in 2002. It stared Colin Farrell, Kiefer Sutherland and Forest Whitaker. Imho, it is still worth seeing. Furthermore, speaking of Kiefer Sutherland, Fox announced on January 15, 2016 that it will be making 24: Legacy, a complete reboot of the 24 franchise, this time without him playing Jack Bauer. Rather, they have cast Corey Hawkins in the lead role. Hawkins can now be seen doing an excellent job playing Heath on season 6 of The Walking Dead. Watch out Grimes Gang, here comes Negan!! What does big data look like, anyway? To try to find out, I was very fortunate to have obtained a pass to see a screening of a most enlightening new documentary called The Human Face of Big Data. The event was held on October 20, 2015 at Civic Hall in the Flatiron District in New York. The film’s executive producer, Rick Smolan, (@ricksmolan), first made some brief introductory remarks about his professional work and the film we were about to see. Among his many accomplishments as a photographer and writer, he was the originator and driving force behind the A Day in the Life series of books where teams of photographers were dispatched to take pictures of different countries for each volume in such places as, among others, the United States, Japan and Spain. He also added a whole new meaning to a having a hand in casting in his field by explaining to the audience that he had recently fallen from a try on his son’s scooter and hence his right hand was in a cast. As the lights were dimmed and the film began, someone sitting right in front of me did something that was also, quite literally, enlightening but clearly in the wrong place and at the wrong time by opening up a laptop with a large and very bright screen. This was very distracting so I quickly switched seats. In retrospect, doing so also had the unintentional effect of providing me with a metaphor for the film: From my new perspective in the auditorium, I was seeing a movie that was likewise providing me with a whole new perspective on this important subject. This film proceeded to provide an engrossing and informative examination of what exactly is “big data”, how it is gathered and analyzed, and its relative virtues and drawbacks.¹ It accomplished all of this by addressing these angles with segments of detailed expositions intercut with interviews of leading experts. In his comments afterwards, Mr. Smolan described big data as becoming a form of “nervous system” currently threading out across our entire planet. Other documentarians could learn much from his team’s efforts as they smartly surveyed the Big Dataverse while economically compressing their production into a very compact and efficient package. Rather than a paint by, well, numbers production with overly long technical excursions, they deftly brought their subject to life with some excellent composition and editing of a wealth of multimedia content. All of the film’s topics and transitions between them were appreciable evenhanded. Some segments specifically delved into how big data systems vacuum up this quantum of information and how it positively and negatively affects consumers and other demographic populations. Other passages raised troubling concerns about the loss of personal privacy in recent revelations concerning the electronic operations conducted by the government and the private sector. I found the most compelling part of the film to be an interview with Dr. Eric Topol, (@EricTopol), a leading proponent of digital medicine, using smart phones as a medical information platform, and empowering patients to take control of their own medical data.² He spoke about the significance of the massive quantities and online availability of medical data and what this transformation mean to everyone. His optimism and insights about big data having a genuine impact upon the quality of life for people across the globe was representative of this movie’s measured balance between optimism and caution. This movie’s overall impression analogously reminded me of the promotional sponges that my local grocery used to hand out. When you returned home and later added a few drops of water to these very small, flat and dried out novelties, they quickly and voluminously expanded. So too, here in just a 52-minute film, Mr. Smolan and his team have assembled a far-reaching and compelling view of the rapidly expanding parsecs of big data. All the audience needed to access, comprehend and soak up all of this rich subject matter was an open mind to new ideas. Mr. Smolan also mentioned that his film will be shown on PBS in 2016. When it becomes scheduled, I very highly recommend setting some time aside to view it in its entirety. Big data’s many conduits, trends, policies and impacts relentlessly continue to extend their global grasp. The Human Face of Big Data delivers a fully realized and expertly produced means for comprehending and evaluating this crucial and unavoidable phenomenon. This documentary is a lot to absorb yet an apt (and indeed fully app-ed), place to start. One of the premiere online resources for anything and everything about movies is IMDB.com. It has just reached its 25th anniversary which was celebrated in a post in VentureBeat.com on October 30, 2015, entitled 25 Years of IMDb, the World’s Biggest Online Movie Database by Paul Sawers. 1. These 44 Subway Fold Posts covered many of the latest developments in different fields, marketplaces and professions in the category of Big Data and Analytics. 2. See also this March 3, 2015 Subway Fold post reviewing Dr. Topol’s latest book, entitled Book Review of “The Patient Will See You Now”.